The small molecule investigational therapeutic showed promise in preclinical studies by protecting mice with experimental neurodegenerative disease (e.g. amyotrophic lateral sclerosis, Parkinson’s disease) from neurodegeneration.3,4 Olesoxime was tested in a randomized, double-blind, placebo-controlled phase 2 clinical trial (NCT01302600) in patients with SMA type 2 and non-ambulatory SMA type 3 patients aged 3 to 25 years.5 While considered safe, patients in this trial did not show significant improvement in the ability to move, i.e., did not meet the primary outcome of significant improvement in functional domains 1 or 2 of the Motor Function Measure. Despite marginal efficacy results, patients enrolled in this trial were rolled over to a single arm, open-label phase 2 trial to evaluate long-term safety and efficacy (NCT02628743).6 At 12 months, patients taking daily olesoxime maintained motor function whereas a matched cohort during this time would have lost function. Moreover, olesoxime did not generate any significant safety signal during testing. Efficacy results obtained at the 18-month time point were disappointing, and showed a deterioration in motor function among trial participants. 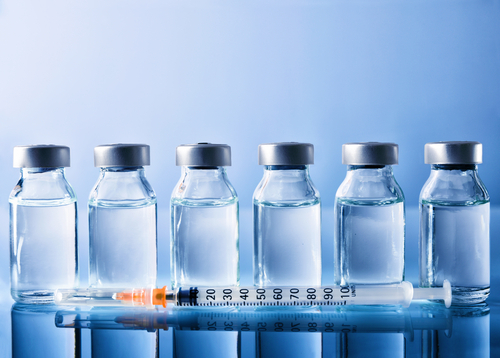 With the approval of nusinersen (Spinraza), the FDA has become more stringent with what they will accept as a positive effect from SMA treatments. Because the 18-month results did not justify continuing the study the developers of the drug (Roche announced that as of June 2018, the company was halting further testing on olesoxime in patients with SMA. 3. Sunyach C, Michaud M, Arnoux T, et al. Olesoxime delays muscle denervation, astrogliosis, microglial activation and motoneuron death in an ALS mouse model. Neuropharmacology. Jun 2012;62(7):2346-2352. 5. Bertini E, Dessaud E, Mercuri E, et al. Safety and efficacy of olesoxime in patients with type 2 or non-ambulatory type 3 spinal muscular atrophy: a randomised, double-blind, placebo-controlled phase 2 trial. Lancet Neurol. Jul 2017;16(7):513-522.